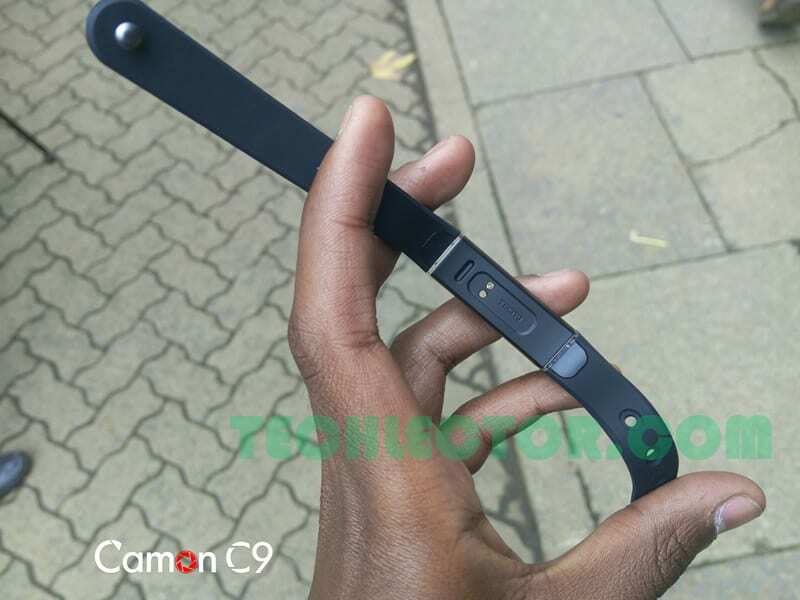 Tecno bringing premium experiences to the latest camera centric Camon C9 has officially announced its first smartband – Tecno T-Band. 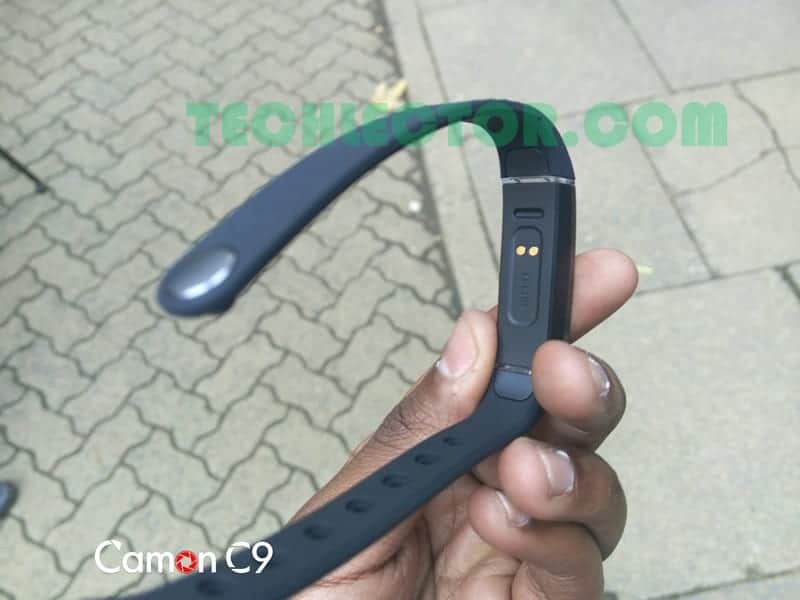 The all-new Tecno gadget sports some unique features; T-Band can establish up to 10 meters connection with the new Camon C9 smartphone via Bluetooth. Another interesting feature of this smart bracelet is its image capturing capability; you can keep your smartphone at one corner of your room while you take photos with friends by tapping only on the T-Band button with the phone camera facing you. 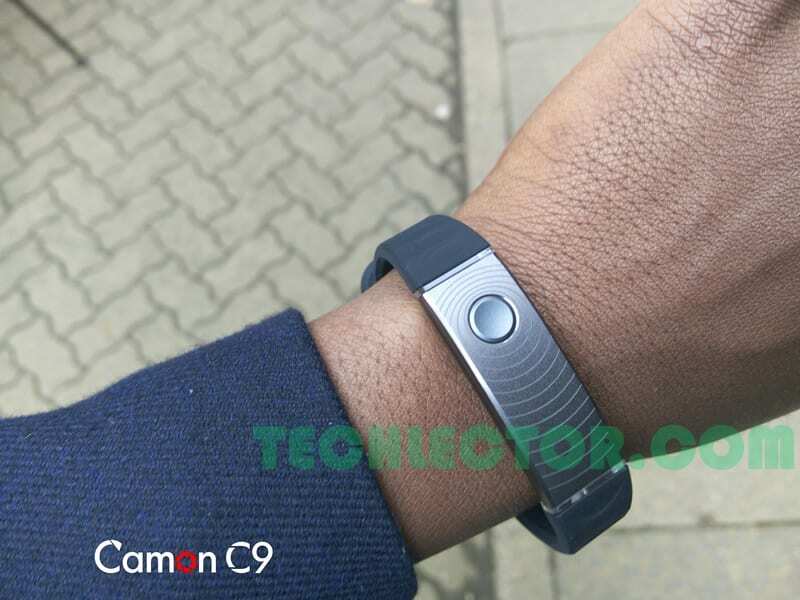 Matched with the Camon C9, it will offer convenience capture to Camon C9 users. The T-Band notifies you of incoming calls, SMS and other notifications with heavy vibration. It can also protect from theft if your smartphone move out of this 10 meters range. It also function the reverse way, in that the smartphone can notify you (with Ringing or vibration) if your T-Band is out of range, which even makes it easier to detect where your smartphone is immediately, because notification will be active on both your smartphone and your Smartband. Last but not the least, the T-Band can function as a fitness tracker, tracking activities such as your sleep, steps and etc. Color options include black and gold. As for pricing and availability, I’ll update this post when available. You should like our social network to be up to date with our daily news. For those who may still be confused, this is a smart band (essentially a fitness band) and not a smartwatch, if this succeeds, we will expect a smartwatch from the company. Just bought the C9 yesterday and still mastering it. The T band sounds nice and would love to get it. hello there. love the specs bout the tband. need one. and I’m in Cameroon. how can I get one. and at what price. Will the T band come with the phone or be sold separately? Nice post about the Tecno T-Band. The smartband is really a good band as per its features but people has mistaken it for a smartwatch asking why it doesnt come with a screen like the Infinix X-Band. How much is the T-Band?